It's ReNae here from the FotoBella Design Team! 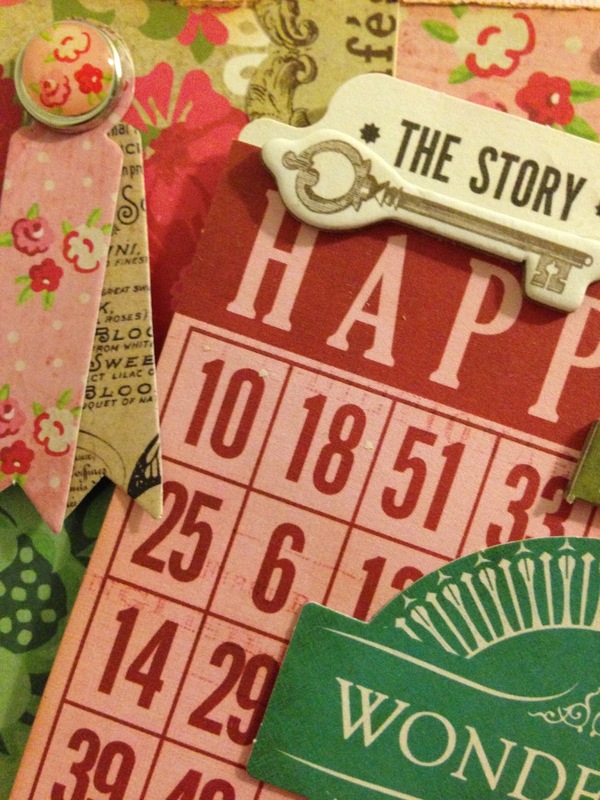 You can make a card for virtually any occasion with the Echo Park Jack and Jill Paper Collection! I wanted to make a card for a friend of mine, (no special reason other than I just wanted to tell her she's awesome) and I was able to make a pretty card in no time! I began by opening up all the packages that were included in the Jill (girls) collection...The beautiful papers, the bright and cheerful enamel dots, a doily and a portrait princess die, the unusual and delightful decorative brads, the pretty chipboard sentiments, the two sticker sheets, The package of ephemera, and there is even a polymer stamp set in this collection!! 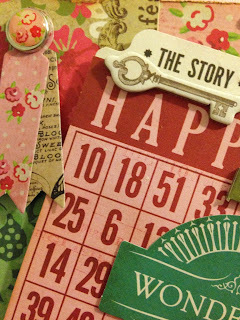 The focal point is a HAPPY Bingo card from the Ephemera Pack. I made a sticker from the "Wonderful" die cut adhering 2 flags at the bottom to resemble a ribbon, and added a chipboard "smile" The little arrow and the "Love" accents are also chipboard. A decorative brad was placed through two paper banner flags at the top. Enamel dots were used to add interest and to highlight the chipboard tab at the top of the card. The Jill collection kit is just packed with crafty goodness! 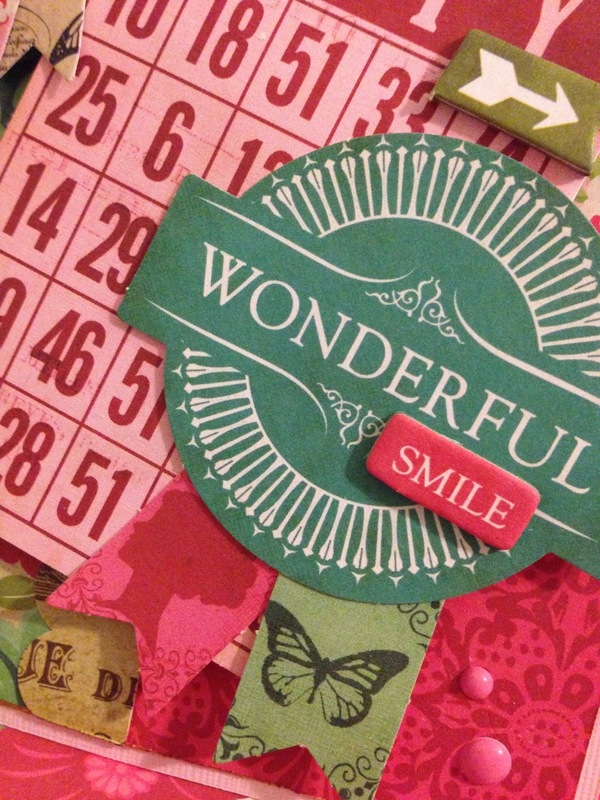 And my card is so cheerful and fun, it's sure to make an impact! I can tell my friend she has a wonderful smile, but do it in a way that is creative and unique! are a perfect way to tell someone how you feel! The brads and enamel paint dots are so unique! Buying from FotoBella.com is economical and so convenient, because everything you need to create beautiful paper projects are right here! Come visit us! "I want it all Bundle by FotoBella! Everything from the collection in one box! It's a bundle of FUN! Thank you Edwina! 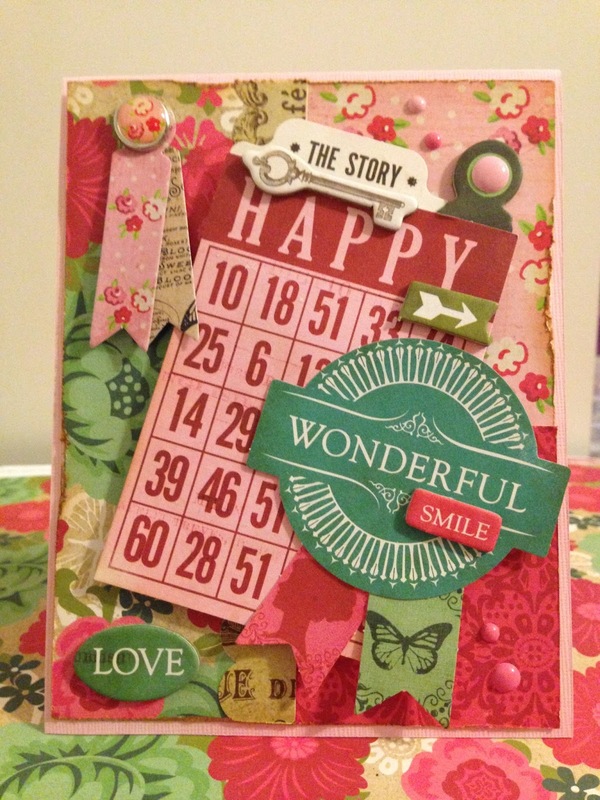 it's easy to make a cute card with all the fun embellishments that come with this collection ! Pretty paper and a creative mind go well together! Beautiful! I agree with you Kim! Put that creative mind of yours to task! Pretty card, ReNae! The fun, bright colors are sure to bring a smile to the recipient's face.